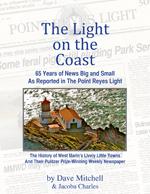 Virtually everyone who gets mail at the Point Reyes Station Post Office knows postal clerk Kathy Runnion of Nicasio. 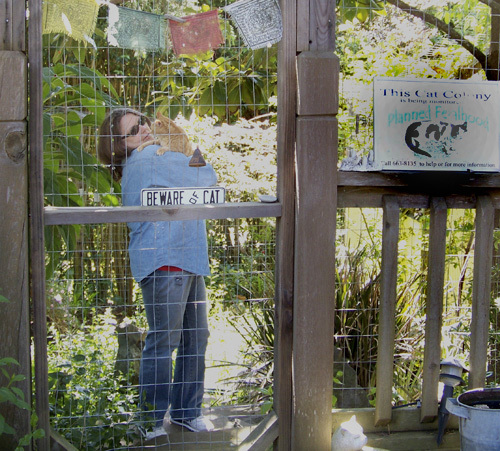 Most townspeople also know she heads an organization called Planned Feralhood, which uses humane methods to keep the local feral cat population under control. Kathy in Planned Feralhood’s shelter for cats no one will adopt. Most are too old, have health problems, or have been wild too long. At the moment, Planned Feralhood urgently needs to find a permanent home. For reasons having nothing to do with its feral cats, the shelter’s rental arrangement will end June 30, Kathy told me Sunday. The organization’s Trap/Neuter/Return program has become a model for other communities, and it’s up to us in West Marin to make sure it survives. 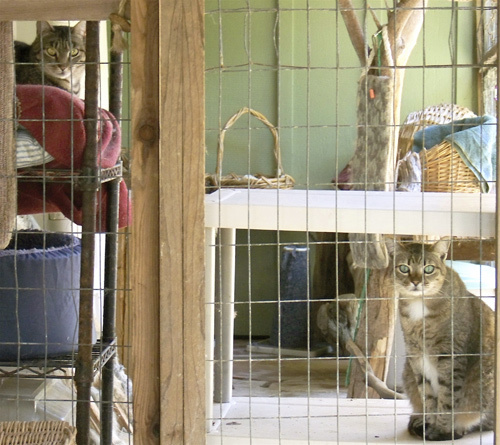 Planned Feralhood has been taking care of West Marin’s feral cats for nearly eight years, and for the past four years, Kathy said, no kittens have been born in the targeted areas. Colonies that were exploding in size eight years ago are now stable and healthy, the cats living out their lives without reproducing. Volunteer feeders help keep the colonies localized. Between these colonies and the cats in its shelter, Planned Feralhood is now taking care of an average of 75 cats a day, Kathy added. Faced with the prospect of having to move in a matter of weeks, Planned Feralhood is desperately seeking donations to finance relocating. I urge readers to help. The organization would also welcome suggestions regarding a new home for its shelter. Kathy can be reached at plannedferalhood@gmail.com. Along with a building, the cats need yard space that can be fenced. It’s obviously not essential, but if rental accommodations for one or two staff were available nearby, that would be icing on the cake. The challenge of finding a new shelter and moving the cats into it in less than a month and a half seems daunting; however, with the community’s help, Planned Feralhood will be able to ensure the local feral cat population continues to be kept under control in a humane fashion. From talking with Kathy and meeting the shelter’s cats, I can guarantee all help will be greatly appreciated. Checks should be made payable to ASCS. The Animal Sanctuary and Care Society is Planned Feralhood’s IRS 501C (3) fiscal sponsor. 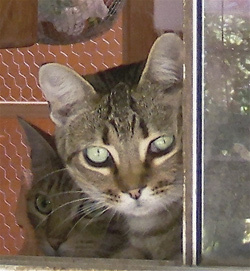 Please mail your tax-deductible contributions to Planned Feralhood, PO Box 502, Point Reyes Station, CA 94956. Sparsely Sage and Timely is powered by	WordPress 4.9.10 and delivered to you in 0.417 seconds using 52 queries.